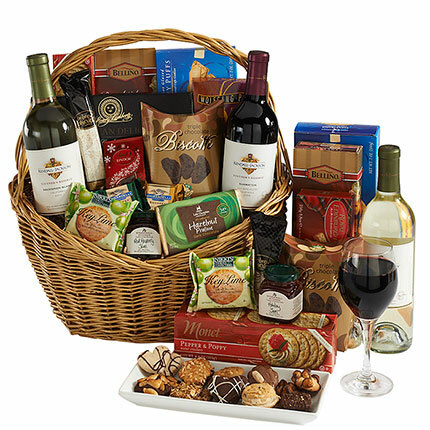 Raise your glass to family, friends, or business associates by sending this gorgeous gift basket of exquisite taste. 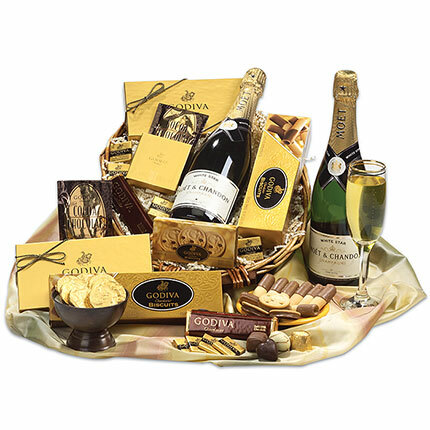 The basket brings together a bottle of Moët & Chandon® champagne, Godiva® biscuits, double chocolate cocoa and assorted Ghirardelli® chocolates. Perfect as a corporate gift or party gift, and a stunning way to celebrate!